AVID READERS PUBLISHING GROUP'S 2012 BOOK OF THE MONTH! The Confederacy and Old Jacksonville, Ga.
Back Cover - "The Confederacy and Old Jacksonville, Ga." -- SELECTED AS BOOK OF THE MONTH! BOOK ALSO CONTAINS JACKSONVILLE, GA. INFORMATION - MORE BOOKS ARRIVED - HOW TO ORDER (Below) - ALSO SEE READER COMMENTS! SEE WHAT READERS ARE SAYING ABOUT THIS BOOK! NEW! POSTCARDS of Old Jacksonville, Ga.! Old Spanish Mission, St. Isabel, Near Jacksonville, Ga., Early 1600's! 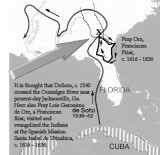 DeSoto & Spanish Mission Near Jacksonville, Ga.
1822 Map Showing Jacksonville, Ga.
Six Generals At Jacksonville, Ga. The Steamboat "John L. Day"
This Sign Is Readable If You Select "ORIGINAL"
First Georgia Railroad - Marker 7a (READABLE) Choose "Original"
Steamboat Fever - 7b - ( READABLE) Choose "Original"
Soldiers Pond, Near Blockhouse Church (Fort Clark), Near Jacksonville, Ga. The General Who Built Fort Clark (Blockhouse Church Site) Near Jacksonville, Ga.
Old River Road At Dopson Hill, Jacksonville, Ga.
John Clark House Near Jacksonville, Ga.
Gov. John Clark House - "Woodville"
Mary Lea Willcox - Wife of John Willcox, Jr.
Wilson Conner And Louisa Arrive At Old Clinton, Ga.
Sharon Baptist Church, Near Jacksonville, Ga. 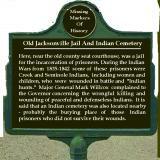 These Men Suffered Aboard The Slaveship "Wanderer"
The Old Courthouse At Jacksonville, Ga.
Gov. 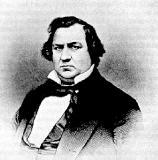 Peter Early Was Judge at Jacksonville, Ga.
Gov. 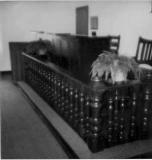 Herschel V. Johnson Held Court At Jacksonville, Ga.
Gov. 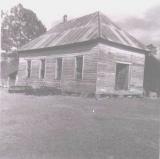 John Clark Had Plantation Near Jacksonville, Ga.
Lt. 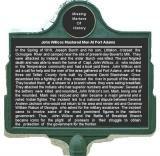 Colonel Wiley J. Williams's House, Eastman, Ga.
Maj. General Phil Kearny Was Killed By Sgt. John McCrimmon of Jacksonville, Ga.
Charnick Selph Lost A Finger At Jericho Ford, Va.
Gen. J.C. Breckinridge Hid Out At Jacksonville, Ga. The Ferry At China Hill Near Jacksonville, Ga.
Capt. Lucius L. Williams's Walking Cane At Blue-Gray Museum, Fitzgerald, Ga.
Austin Yawn Driving In Style! Steamboat "The John L. Day" Near Jacksonville, Ga.
Steamboat - Loaded - Hawkinsville, Ga.
One of Jacksonville's Last Steamboats? Andrew Jackson Bowen - Lived On The Old Gov. John Clark Plantation Near Jacksonville, Ga.
Jesse Jones House?? Or Another?? Dr. A.J./Lola Jones House c 1919? Dr. A.J. Jones Home Near Jacksonville, Ga.
DeWitt Wilcox House In Jacksonville, Ga. The Jim Bland House Near Jacksonville, Ga.
World Record Bass Marker Near Jacksonville, Ga.
Is This A Picture Of The World Record Bass? Replica Of World Record Bass - 22 Lbs., 4 ounces ! Old Race Track - McRae, Ga.
Old South Georgia College, McRae, Ga.
Windsor Park - Was In McRae, Ga.
McGinty's Cafe - Helena, Ga.
Old Harris Hotel - McRae, Ga.
Lee Land Hotel - Eastman, Ga.
Silver Haven Court - 1942 - Near Chauncey, Ga.
Ivy Lodge - Lumber City, Ga.
Football Team - McRae-Helena, Ga. Snag Boat No. 1 At Lumber City, Ga. Snag Boat No. 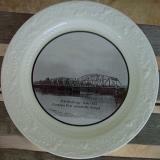 2 At Lumber City, Ga.
Flint River Ferry At Marshallville, Ga.
Ocmulgee School, Near China Hill And Jacksonville, Ga. Clearer Image of Ocmulgee Team? "I Ain't Got No Body"
Goat Man & J.D. Williams At Jacksonville, Ga.
J.D. 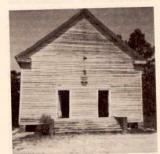 Williams Store, Jacksonville, Ga.
J.D. and Mattie Williams House, Jacksonville, Ga.
Little Frank Ray's Birthday At Jacksonville, Ga.
Robyn Ray Poses Near Jacksonville's Last "Courthouse"
Alaska Chief Justice George F. Boney, Sr. Grave of Chief Justice Boney At Bethel Church, China Hill, Near Jacksonville, Ga.
Charles Lowe Once Lived At Jacksonville, Ga. Since Julian’s death in 2014 I have been concerned about the future of this website and its link to my origin. If there is anything I can do to insure its continuance I would be happy to help. 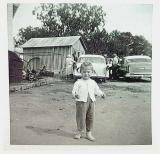 I left Jacksonville around 1941 at the tender age of two and have limited knowledge regarding anything. I have gone by the name Dowdy all my life but learned some years ago that my father was John Willie Harrell, although my original birth certificate names me as Jimmy Guy Wells. I would like to know where the connection to Dowdy comes in. Rest in peace, Julian. I always enjoyed reading the history which you knew better than anyone else. You captured stories in print that will live for generations. I am thankful for the family history that you shared with me. Your cousin. I visited your site back in 2006 and again today (7/25/2014). It is so interesting to see all these pictures and especially of the Lowe(my relatives)homesteads. Thanks for all your hard work on this site and keep it going, please. We met alond Highway 441 a few years ago and I gave you a copy of Christopher and Catahrine McRae. I want to invite you to the Little Ocmulgee Resort on 16 August 2014 for a small gathering of the McRae Clan and have supper with us. 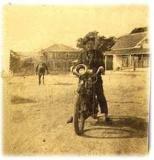 Some Cosuins I have located want to go to Old McKinnon Cemetery and visit the Michael Williams family at China Hill. They are part of our family. my email address is jwwmc@comcast.net. Enjoyed these photos. I am the great granddaughter of Dr A.J Jones. I am cousin to Cindy Jones Boone who is now living in the old Dr AJ Jones house and niece of Sylvia Jones Lee who is currently living on the grounds of the Gov John Clark House, of which my father Andrew Marion Jones, Sr was born and raised, the photo of the Burch Girls with Gov John Clark house in the background is of my grandmother Laurine Burch Jones and her sisters Christine and Mildred. I'm Sharron Wilcox-O'Connor and my Mother's name is Helen Wilcox from Williston, Florida. Her parents are Harrington and Edna Wilcox also from Williston Florida. I'm also looking for any relatives of the Wilcox family. My Grand-Father/Harrington Wilcox Father name is Woodson Wilcox from Raleigh, Florida, which they called him "Woot" Wilcox. Woodson Father name is Ned Wilcox, from Jacksonville, Telfair County Georgia. Ned's Mother name is Hannah, who married Bill Tamberlin and Bill's Mother name is Martha McDuffie. If anybody have any information about the above named people, please let me know at cocoplum516@yahoo.com. Thanking you in advance. Did any of the Wells have any association with the Block House Plantation? Any information on the Block House Plantation? Julian, there are Studstills in Madison County, Florida and Brooks county, Georgia. Wow, great pictures. 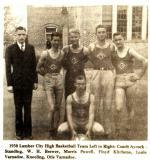 I am Julie Willcox Barber, daughter of Joe Clyde Willcox, pictured in the 1934 Lumber City High School basketball team. The comment is under the photo is correct, that is my Dad and he did practice Law in Gainesville, FL. He is now 92 years old. He also enjoyed your pictures and brought back memories! Thank you! Mr. Williams,Thank you so much for this site. I am the granddaughter of James Woodson McCrimmon and the great granddaughter of John McCrimmon listed here on your site. My father Henry bought and ran the old Vaughn grocery store at Hulett Town near China Hill and named it McCrimmon's. I have found stories of my ggreatgrandfather in several books on the civil war. I read that you have a new book out and will be ordering it! 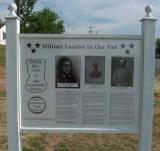 I was supprized to see a photo of Col. Edward L.Thomas who was commanding the 49th Georgia, my ancestor James M. Dunn also served in the 49th Georgia as well in Company I. If his photo exists then I was hoping there might be more photos somewere of more members of this unit, I am hoping you could lead me to some . Hi Julian... thought I would revisit your site and as always, it's GREAT! Still looking for info (and pictures) on my great-grandparents, William "Bill" Vaughn and his wife, Martha Cravey Vaughn and their family who I believe lived in the China Hill area. It's always been hard for me to find much info regarding China Hill, but you do have a few pictures... so it must be or has been an actual place in the area! Trust you and Joanne are well and THANKS for taking the time to do your Old J'ville site... history truly lives on it! Julian, found your site looking for history of lumber city. My grandfather, Issac Lawson Pope, raised his family there until 1924-25, when my grandmother Margaret Clementine Varnadoe passed away, they moved to Florida. 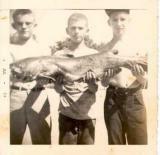 My dad who was 12 when went to live in Lacoochee Florida with his older sister. Until he passed away in 2001 we would go back each summer for the Varnadoe family reunion. I continue to go to the reunions (which have now been moved to Ocala FL). The "family" has a huge collection of family photos that I enjoy going thru each year. Last year I attended the Farm day in Lumber city - walking down the street in front of those old buildings I wondered what it was like when daddy was a boy playing there. Thanks for sharing! My grandpa was a Swain and he has some cousins who were Wilcoxes and Clarks. Did anyone from these 3 families have mulatto children? Because my grandpa's grandpa was a mulatto named Henry Swain. 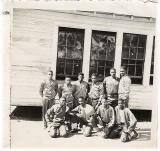 My grandpa who is black and part white has cousins in Telfair County who are white. Can someone help me? Email me at jmo_1@netzero.net Thank you. I really enjoyed learning more about this area. My family is from Milan and Rhine. I'm sure I have seen some of these places and had no idea. I have a couple of pictures of some of the graves. I used to go walk through alot of them, but the ones in the fields I would take pictures. I will be in Rhine this saturday for the Kennedy Reunion. I will take my laptop and let others know, they may have more infomation. We have been doing a family tree and who know's where it could lead. your site is a wonderful work of history. my great nephew has been in touch with you and told us about this site. i noticed a posting by a kin dunaway whose grandfater was wiley williams. they moved to biloxi, miss. 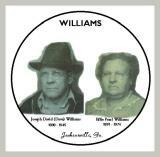 i am the granddaughter of wiley williams also but my grandfather married julia paulk. they lived in fitzgerald,ga. had three children, my father royce williams,(4/20/1908-5/2/1965) MY MOTHER martiel paulk(9/25/1910-4/19/2001)my father had one brother named george williams he married ruth mullis(sister to ethel stuckey) no children, and one sister louise. married first to budd paulk(i child) 2nd marriage to houge smith(i child). i did quite an investigation back in the 80's. corrosponded with a dr. henderson (name may be incorrect). he was located at rose hill out from raielgh.n.c.. he sent me the whole out line of the families from the rev. 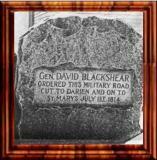 soldier buried at china hill. however, i am so sorry to say i lost all of those records in hurricane katerina. were you ever able to trace the family back to wales.? i believe they came over through one of the ports in virgina around 1634. my great nephew(wes mmobley) is so looking forward to his trip over to meet you.i married paul d. hathaway first,we had 2 children royce and nancy ann . my 2nd husband luke caruso was 2nd generation italian, we have one child margaret. my mother and daddy went into the stuckey business in 1953.my husband ! !/16/31-11/25/2010) just sold our last stuckey store last year. i know you part of the world well. thank you for all of your work and if you can add anything to my recod would greatly appreciate it. What a great job you've done! I never realized there was so much wonderful history in this area. My dad, W.A. (Bill) DeFoe was born in Telfair county. His father was Willy Arthur and his was Thomas Seldrige DeFoe. I do not know the name of my great-greatgrandfather. I visited my great Aunt Neva DeFoe, wife of Austin DeFoe, about eight-ten years ago near Lumber City. She thought that he was a Baptist preacher. His sons were William, Hiram, and Thomas. She related that "he went over the river at Chauncey and bought a horse and buggy for the boys when they came of courting age." The McRae courthouse apprarently burned and all records were lost. My dad was a truck driver and route manager for Benton Bros Film Express out of Atlanta. He told us many times of seeing the Goatman on the road. Once he helped him out when the old man was sick. I am searching for info on the DeFoe family and would appreciate any help! Thanks again! I am descended on my mother's side from Gen. John E. Coffee and his wife Ann Penelope Bryan through their daughter Susan and her husband John Hill Bryan, who was Ann's nephew, the son of her brother John Bryan who lived in Madison, FL, where Ann is buried. I grew up in Tifton, the granddaughter of Joseph Coffee Bryan and great-granddaughter of Joshus Soles Bryan, but have never been to Telfair County, as I have been on the west coast for most of my life. My aunt Irene Mcrae King was related to the Craveys. I believe they were her mother's people. 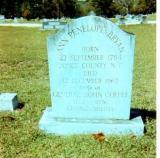 Does anyone know where George Ervin Godfrey Carter ( born abt 1848 Marion Co, S.C. died after 1926 Telfair Co, Ga?)) is buried? I was told he was buried in Turnpike Cemetery but his grave has not been located. Old McKinnon Cemetery gives up more of her secrets with each visit. I was there this weekend and two morw graves have been exposed due to the mowing and erosion to the elemnets. One if up font to the right were the harrell markers used to be and the other is left center and is large than usual grave marked by bricks. The bricks are two wide and the entire grave is 5 x 10 feet, there is nothing in the middle of the bricks. Trees, brush and blackberry briars have lost their foliage and it was easy to get into and observe McKinnons Bay, which is 150 yards North West of the cemetery. I know That my great Grandmother Was Martha Williams. She married Joseph (Joe) Bohannon, To this union was born my Grandmother Ella Louise Who married Luther Robert Durden sometime in the early 1920's To them were born Luther J. Durden' Robert H. Durden and my Aunt Mary Durden. My Father Robert H. Durden passed away in January of this year. If anyone has the information,Iwou like to know the parents of my great grandmother. I know she and my great grandfather, is buried at Blockhouse cemetary outside of Jacksonville. Thank You , John Wayne McRae. Julian, thank you for all you do to preserve history. I know where the old courthouse marker is now. Julian: thanks so much for the web site. I have had limited success with sources such as Ancestry.com but your site is unique in so many ways, and I enjoy reading the comments from people like me who moved away at a very young age and are now trying to fill in gaps in their lives. I have always been interested in history and books like Blind Obedience by Bill Boyd and Pioneer Days Along the Ocmulgee by Fussell Chalker have helped me appreciate the rich the history of Telfair County and Jacksonville. Thanks Julian for the site. It brings back great memories. I was raised in Telfair County. My parents were Earl Davis and Lila Bell Davis. We be kin to all the Huletts, Hattens, Williams, and about half of the rest of the Jacksonville clan in one way or another. My grandmother Emma Davis and dad bought their farm, which was located next to the Cooper pecan farm. I've waited on a school bus many a day in the cool of the morning, when the air was fresh and the birds sang their songs for all that would listen. Hope the site stays up and I will try to send others to walk down memory lane. Great website! 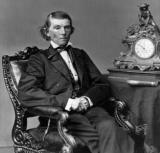 I am a descendant of Wm Fletcher, RS. Planning a trip to GA this month and would love to visit grave. Can you give me driving directions from Statesboro to the cemetery? I was married on the front porch of an estate shown on your site-- Ivy Mills, in Glen Mills. Thanks to the graciousness of the current owners, Mark III and Ann Willcox, I was even taken to the ceremony in an antique horse-drawn carriage by Mark himself! Each year on our May 18th anniversary, my husband and I travel to the house and have a glass of champagne on that front porch. 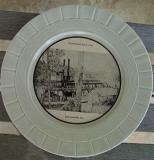 I came across your site, and got to thinking...what a neat anniversary gift to somehow get a copy of that old etching showing the 3 Ivy Mills settings, back when the site at which we were married included a working paper mill, barn and residence. I would love to frame that one and give it to him on that very front porch this spring! What you you think? Any way of getting a copy? I am Christine Kegelman, 302-584-3223. Call any time, and thanks for your educational and helpful site! Any more news or photos on the Red River swimming pool, Lumber City, or Katherine Hudgens pool, store and cafe? I stumbled onto your site by accident but I'm sure glad I did! 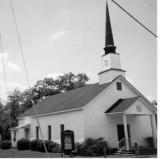 My husband, Scott Studstill, has traced his ancestry back to Telfair County, Jacksonville, Georgia. We have several pages of Studstill genology and many of the surnames in this gallery is listed somewhere or the other (Cravey, Mizell, Boney, just to name a few). My husband's father, Jerry Lamar Studstill, died when he was 10 months old so he does not know a lot about the Studstill family. We are hoping one day to go to Telfair County and research a little more. Your web site was very informative and interesting. You have done great work! What a great website! I was just in Jacksonville, Ga last weekend. I went back for our annual Padgett Reunion. We had it at the Lions Club on 117 (Thank you Lions Club). I love it there! I live in Orlando, Florida presently. I love the history of the town. My father and Grandparents were born and raised there. My father went to Workmore School. My grandmother's house just a stones throw down the road from Mr. Charles Jones Store. Her house is still standing. 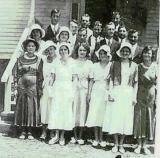 I am researching the Padgett family (Padgett/Caruthers) and I happened up on your site. I am not having much luck with the Caruthers side of my family. My grandmother was Myrtle Caruthers Padgett. 1900-1976. If any one should have any information, please e-mail me. Thank you again! Do you know where I can get a map of the Old Coffee Road from Jacksonville, GA to Tallahassee,FL? I've searched the internet and the UGA historical maps but have not been successful in finding one. Please let me know if you have any ideas on where I should look next. I don't often get to see the folks in your pictures, but did notice that some are taken about 45 minutes from my house, most notably the pictures at the Dillard House. Jan, Aaron and I eat there from time to time. Hello I am Michael Piper of Thomaston GA. I am tracing my family's history back as far as i can go. My mothers name is Sarah Ann Green daughter of the late Robert Lee Green and Sarah Francis Ryals. S F Ryals is the daughter of Albert Jacob Ryals and Mary Louise Webb. 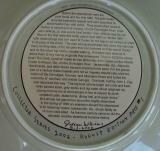 A J Ryals is the son of Jim Ryals and Francis Gladden. M L Webb is the daughter of Jim Webb and Bell Clemmons. Robert Lee Green is the son of Robert Lee Green and Roberta Fordham. R L green is the son of Archie Green and Mary Studstill. I just found your site and was delighted with all the pictures. 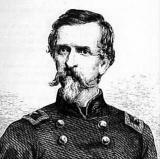 I am a descendent of Gen John E. Coffee. Do you have a picture of his grave or information of his plantation? I am a descendant of the McMullen's and absolutely loved your site. If you have any information or can find a picture of what my cousin wrote in her research of "the Old Stanley Place" I would love to be able to print for my records. You have done a fantastic job with all the photos and information. Catherine Lee Brown Pierce gggggggraddaughter of John McMullen and Sarah Minton McMullen. Thank you, Julian, for all your hard work on this site. It is wonderful. 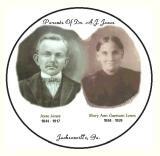 I am related to the Lowe family from Jacksonville. I totally found this site by accident, and am thrilled beyond words. I am a desendant of Wm. Fletcher Rev. War Soldier. My Fletchers, being in Telfair Co. by 1804. My line is Wm's son Joseph, his son Rueben Sloan Fletcher, his son Napoleon Bonapart Fletcher, his son, George Napoleon Fletcher, and my Dad Olin Thomas Fletcher. I would love to receive emails and will share anything that I have of research. What a wonderful website! My ggrandmother Elizabeth Yawn Cadwell Hutto was James Wesley Yawn's sister --- I don't have any pictures of her but it is great to see photos of her brother and other relatives. I always enjoy visiting Old Jacksonville, Ga --- Where History Lives! I too am looking for information about the McRae's of China Hill. Real good page. I served on the Telfair APA 210 from 1956-1958.Had some great times aboard her. 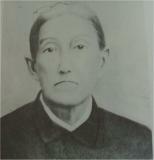 We called her the tremping "T"
Great site, I found photos of my great, great grandparents, John Wesley and Rebecca Yawn. Thanks. I learned some history here! Great site! Thanks for sharing! 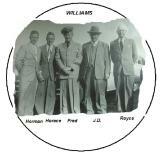 Glad you enjoyed the pictures of Old Jacksonville, Ga -- be sure to read some of the articles, too -- some of those include info on the Williams Family -- where do you live? Thanks for writing. Julian. Thank you for this awesome site! My grandmother is Myrtice Williams Caldwell. She will be 80 years old on the fifth of July 2005 and still mows her own lawn. 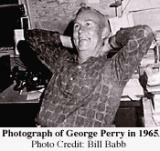 She is the daughter of Wiley Williams and granddaughter of George Morris Williams. Wiley moved his family to Biloxi, MS in the early 1930's when my grandmother was still a small child. His wife, Viola Taylor Williams, was terminally ill and together they had eight small children. Viola wanted to be near her four sisters in Biloxi. Shortly after arriving in Biloxi, Viola passed away. It was during the Great Depression and the family had very little. Wiley went to work for the WPA. Finally, to complicate matters, Wiley was tragically hit and killed by a train, leaving the Williams' children to survive on their own. My grandmother never knew her father's family. I have printed many of the pictures from your site and plan to visit her this weekend. I'm certain she will be pleased. Thanks again, this means so much. I accidentially stumbled across you gallery! It is fabulous! Thanks so much for pictures of the Winship-McArthur Home. I am a descendant of the McArthu/Ryder family. I actually tried to visit the home about 12 years ago, but the previous owners did not allow visitors. I am so happy that the beautiful home is back in the hands of descendansts! I also could not find the grave sites. I look forward to going back and looking for the graves. Thank you again for such a wonderful website! I enjoyed your web sight immensely. Some of the photos took me down memory lane (Workmore High and others). I am currently gathering information for my grown children on my maternal side. My mother's name was Myrtle Estelle Rawlins, daughter of Elmo and Flora Rawlins, she was born in 1920, passed away in 1978. She was valedictorian of the class of 1938 at Workmore High. Any information you have on Workmore High or the Rawlins family would be greatly appreciated. I enjoyed viewing your sight. My Great Grandfather was Andrew Jackson Renew who was to my understanding was held responsible for and shot to his death concerning the Forsyth killing. Anyone with information please comment. Thank you for sharing your memories. I am an expat living in Munich, Germany. I come from Waynesville, Missouri... For some good reason......you pictures sure made me homesick. 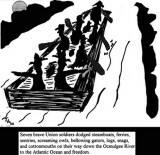 Hi Julian, this Is a great job your doing keeping old memories alive, My Uncle Hoke McDonald was the steam boat captian in one of the pictures, My father Was William Harmon Brewer Of Lumber City, I`ll try to find a small news paper picture I have of him on Lumber City`s basketball team, there is about 6 or 7 people in it and I think Its from the 30`s. Thanks very much for this fine gallery. I have enjoyed visiting and will return again. 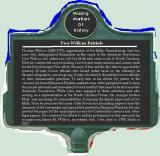 I am a direct descendant of the Thomas Willcox, and I was born and raise outside Philadelphia, very close to the Ivy Mills . 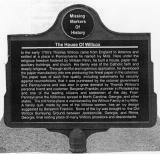 I have been active in the restoration of the Willcox house, which is situated about 1/4 mile from the ruins of the Mill. The house restoration is nearly complete. I live in California now but visit my family and the house frequently. Thanks again! Great job! I visited Jacksonville,GA with my Grandmother who is in her late 70's. My line of the family from Jacksonville,GA (Telfair) is: Jones, Cravey, Knight, Vaughn, Burnham, Fletcher, just to name a few! Capt. John Cravey is my GG Grandfather. Robert W. Jones, Sr. is my GGG Grandfather, Jesse C. Jones, GG Grandfather, etc... I visited with Elizabeth JONES Knight (my grandmother) and we had a wonderful time. BTW, her father's name was Stephen Boney Jones. Would love to hear more about the Jacksonville,GA event scheduled for Oct. 19, 2002. Would make my Grandmothers day to visit also, as we are living in Savannah,GA. Keep up the good work! Thanks for putting in the time and effort to post these pictures. That had to be a huge job. I recognize a few pics but I'll have to get Grandma to tell me who most of these people are and who is related. Jacksonville, Ga.We belong t the Clark, Harrell, Grim, side of the crew.Thanks again. Julian, Thank you for sharing these photos. I saw some of my ancestors in the gallery. My family was, and still is, from McRae and Lumber City. I descend from the Prickett, Clements, Ray, and Wooten lines of Telfair County. Wonderful site, Wilson Conner is part of my family tree - wonderful to see more information on Wilson. I'm always looking for more. Since I am related to the Fletcher family who was in Telfair County by 1804, I graetly appreciate the photos and articles about the area. My ancestor William Fletcher a Revoultionary War Soldier is buried at the Concord Methodist Cemetery. Also, his son John whom I descend through was at Ft. Adams. Julian, what a trip back in time! Thank you for the gallery. I just discovered your site and I am reading the articles and looking at the pictures with great pleasure. You did a great job gathering and presenting these photos. Some of them bring back memories from way back. Have read many of your articles and enjoyed them very much. Enjoyed the site as many of my ancestors came from this area and I'm rleated to the Wilcox, Rawlins, Yawn, Vaughn, Dowdy, Harrell and others it is good to see some of the photos and info found here. The pictures are wonderful. Thanks for all the hard work and sharing. Thank you very much for all of the hard work you put into collecting and presenting pictures and information on "our" people and "our" places. Your new photo gallery is top-notch! Absolutely loved it..have to return later when I can slow down and soak it all in. This stirs up my curiosity and interest in getting serious about tracking down our Williamses.Thanks Again! This a test of the Old Jacksonville Photo Site -- to see how well the message board works.JW.